We’ve all been taught that breakfast is the most important meal of the day. We know that it provides us with much-needed energy to fuel our bodies, and studies continue to link eating breakfast to achieving overall better health, better memory and improved concentration. Even though we know these things, breakfast still remains the most often skipped meal of the day. I’m guilty of drinking my breakfast, and I don’t mean a healthy shake or smoothie. I mean drinking a calorie-heavy creamer with a side of coffee and then going on about my business. For me, it’s not because I don’t enjoy breakfast. In fact, I love breakfast. What I have found, though, is that in order to be successful with eating breakfast, there’s a bit of pre-planning that needs to take place if you’re not a fan of cold cereal. Having readily available grab-and-go breakfast options are the only way breakfast during the week is happening at my house. 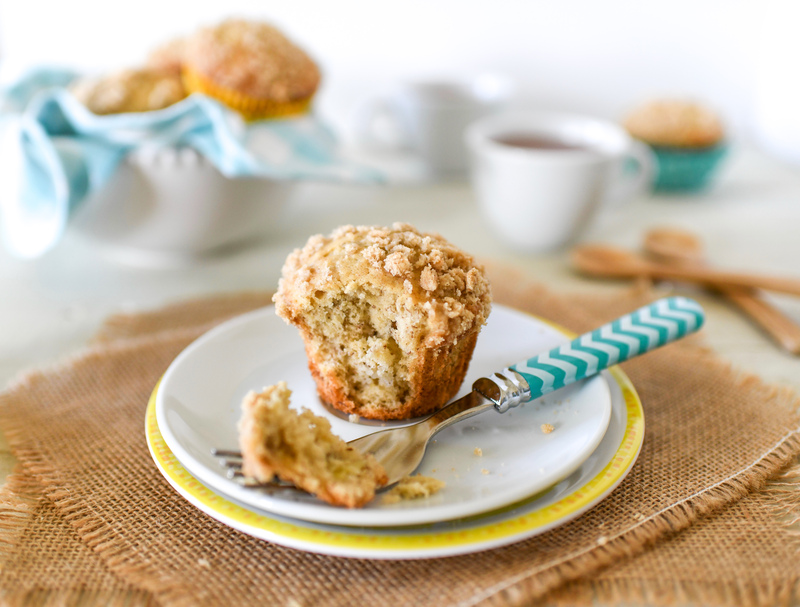 My Streusel-topped Cinnamon Apple Banana Nut Muffins were a complete accident arising from the need to use up bananas, but also having an apple nearby. Despite its ridiculously long name, these muffins are one of the top five recipes on my website. You could leave off the streusel if you’re watching your sugar, but these guys make for a perfect make-ahead breakfast-on-the-run option. 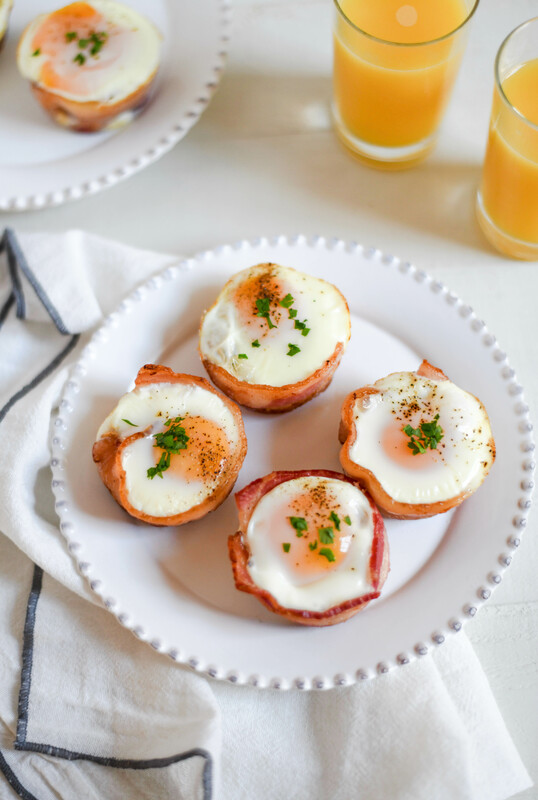 Speaking of breakfast on the run, my Bacon, Egg & Cheese Toast Cups are portable and fun to eat. They are hearty, healthy and super easy to throw together, too. There’s really no reason for skipping breakfast when you have something so tasty waiting to welcome you to your day. 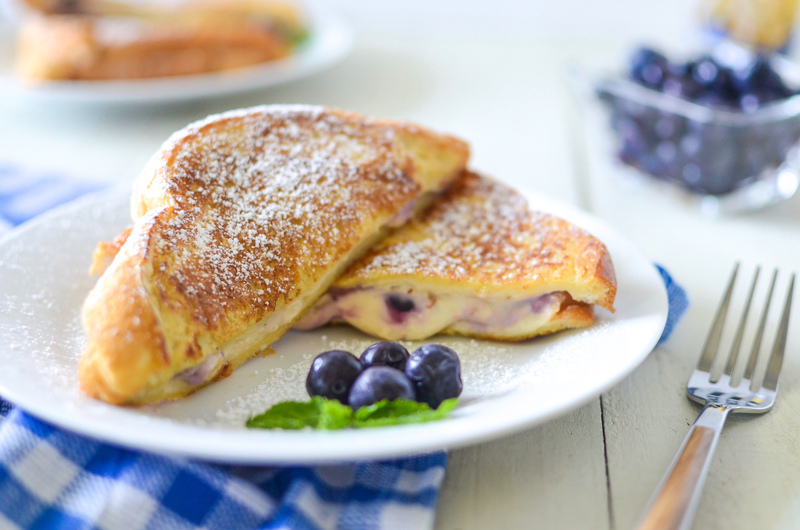 And lastly, when you’ve got a bit more time, whip up some Blueberry-stuffed French Toast for a seriously delicious start to your day. It may look labor intensive, but it couldn’t be easier. Added bonus? Blueberries are oh-so-good for you. Preheat oven to 350 degrees. In a small bowl, cream butter and sugar. Beat in egg, banana and vanilla. In a separate bowl, combine flour, baking powder, salt, baking soda and cinnamon; add to creamed mixture a little at a time, stirring just until moistened. Fold in pecans and diced apple. For Streusel, in a separate bowl, mix together flour and cinnamon. Cut in butter with a pastry blender or fork until it resembles coarse crumbs. Stir in brown sugar. Coat a pan of 4 jumbo-size muffin cups or 6 regular-size muffin cups with cooking spray or use paper liners; fill 2⁄3 full with batter. Top batter in each cup with about 2 Tbsp. Streusel topping, using less or more depending on how much “crumble” you want on top. Bake for about 25 minutes or until a toothpick comes out clean. Cool for 5 minutes before removing from pan to a wire rack. Serve warm. Makes 6 regular or 4 jumbo muffins. Preheat oven to 400 degrees. Spray a pan of 6 regular-size muffin cups with nonstick cooking spray. Cook bacon in a nonstick skillet over medium heat for about 3 to 5 minutes on each side. Cooking time will vary depending on thickness of bacon and desired crispiness. If you want bacon cups to be crispy once baked, you’ll need to cook as long as you can in skillet but not let bacon get so crispy that you won’t be able to bend and form it inside muffin tin. Line each muffin cup with bacon. Use a cutter to cut out circular pieces of toast to fit inside muffin cups. Nestle toast inside bacon. Sprinkle cheddar cheese evenly among cups. Crack an egg into each cup and add salt and pepper. Bake for 12 to 15 minutes. Garnish with chives or green onions, if desired. Serve warm. In the bowl of a stand mixer, whip together cream cheese, pecans, brown sugar and lemon juice until soft and creamy. Spread over 1 side of each piece of bread. Divide blueberries in half and add them to 2 of the slices, avoiding edges and pressing down slightly to keep them from rolling off. Top blueberries with remaining 2 slices of bread, cream cheese facing down. Once skillet is hot, dip each blueberry sandwich into egg mixture on both sides; fry in hot skillet until golden brown, about 3 minutes per side. Cut sandwiches in half and sprinkle with confectioner’s sugar. Serve immediately. 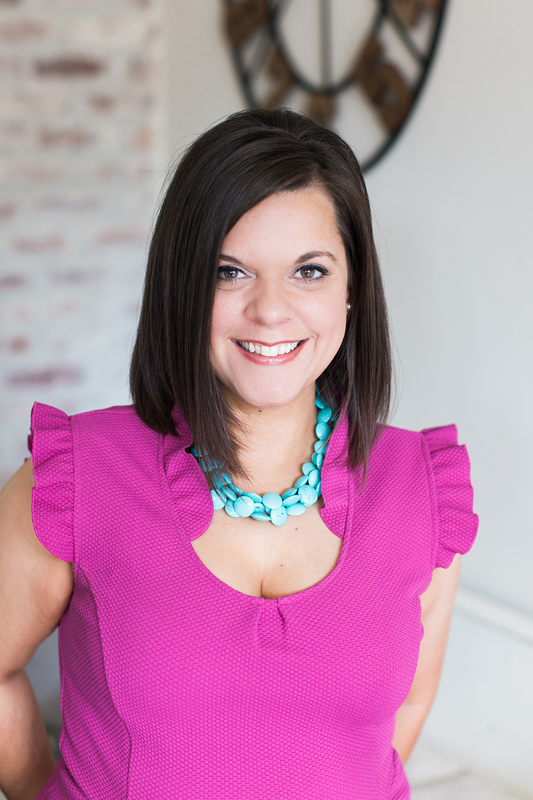 Aimee Broussard is a Southern food blogger and award-winning author. Her recent cookbook Picnics, Potlucks & Porch Parties debuted exclusively on QVC. Join Aimee for weekly recipes with a side of Southern hospitality on her blog, southernfromscratch.com. Find more of her recipes at aimeebroussard.com.